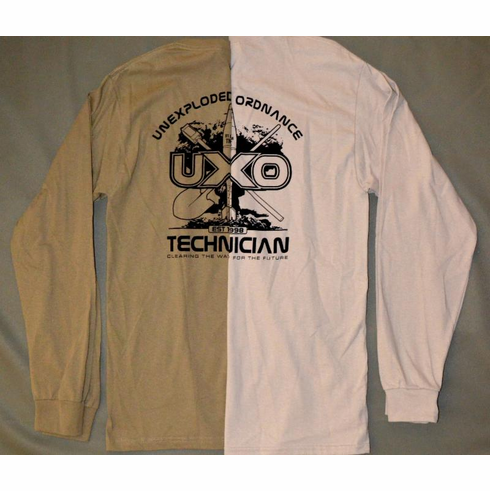 Size: Khaki SKhaki MSand MSand LSandXL"
UXO Tee - Tan or Khaki Another long-overdue, but great UXO tee shirt design. Tan or Khaki with black print in long sleeve. Goes great with the new UXO Challenge Coin. Get yours for the grid.